Our pals over at Make posted this articleabout Will O’Brien, and how he took an old iPhone, an Arduino, and a handful of electronic crap and made a remote starter for his Subaru Outback that lets him start his car with a text message. The link to his site gives a full schematic of how it was done, and he’s made the software source code available to whomever wants it as well. This is exactly the kind of thing I love to see, as it’s a great reminder of what an incredible age we’re living in, car tinkering-wise. Just look at Will here, for example: he had, laying around, an unused, pocket-sized, battery-powered computer that can communicate wirelessly with no trouble at all. A huge number of us have exactly the same thing, forgotten previous iPhone or Android phone models, languishing in drawers. We take for granted how powerful these little machines really are, and how car experimenters a decade or so ago would have happily parted with kidneys for something like them. The Arduino’s an amazing thing, too — for those not in the know, an Arduino is, essentially, a great, customizable interface between electronics and the real world. Starting one’s car with a text message is a great example of what’s possible. Now, I’m not exactly sure how useful it really is, but who cares? Any remote starting application is really more about fun or scaring the piss out of people than anything else, so a start via SMS seems like a fine advancement of the art to me. Good job, Will. 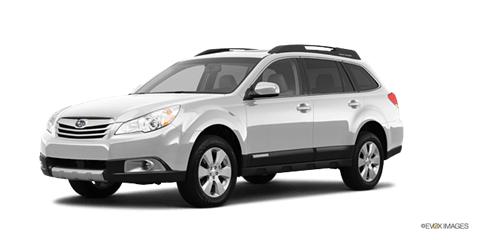 An ideal midsize alternative to a conventional SUV, the 2012 Subaru Outback matches a refined driving feel with room for five and the security of standard all-wheel drive. Now in its fourth and by far roomiest generation, this rugged, go-almost-anywhere wonder wagon continues to win new fans for Subaru on the strength of its well-rounded personality and impressive fuel economy. There still aren’t a whole lot of wagons to choose from the U.S., and the Subaru Outback stands out as the best wagon in terms of resale value. Motivation for the 2012 Outback comes from two well-proven engines, both featuring Subaru’s signature horizontally-opposed design that lowers the center of gravity to help improve handling. Outback 2.5i models are fitted with a 170-horsepower/2.5-liter four-cylinder that returns 29 mpg on the highway when fitted with the available continuously variable automatic transmission (CVT). For those needing a bit more muscle, the 3.6-liter flat-six in the Outback 3.6R delivers its 256 horses though a five-speed automatic and still delivers 25 mpg out on the open road. Even in base form, the Outback’s spacious, well-appointed cabin welcomes all with its user-friendly design and comfortable, supportive seats. While Premium and Limited trims add more luxury and convenience touches to the mix, all versions of this versatile Subaru hauler boast an extensive suite of safety features and the ability to carry 71.3 cu ft of cargo with the rear seat folded. Complementing its exceptional real-world utility with equally notable affordability, the 2012 Subaru Outback 2.5i starts at just over $24,000 with the 2012 Outback 3.6R opening slightly above $29,000. Those figures are thousands below the price of entry for the Audi A4 2.0T Avant and BMW 3 Series Wagon, the Outback’s prime rivals in this residual-value arena. If all of these failed to start tomorrow, thousands of college professors in the Northeast and Pacific Northwest would have to walk to class. Fortunately for higher education, due to these cars’ truck-like fortitude (note that Subaru’s parent company is Fuji Heavy Industries), that’s not likely. The standard all-wheel drive on all models also means they’ll get their owners (often automotive know-nothings) through nasty weather. It also makes them something of a regional taste. Think of places with lots of rain, or cold, snowy winters. You can tell which region they’re from by the inevitable school and/or bumper stickers. It’s a well known fact that simply driving a new car away from the dealership is one of the most horrifically expensive things you’ll ever do. ALG measures automotive residual values in the American marketplace – that is, the value of a car when you sell it, three years after purchase. Depreciation of the value of a car is often the largest part of the cost of ownership, and hence a good performance in ALG’s Annual Residual Value Awards is a strong indication of how much that brand will cost to drive, and for the average man in the street, the current retained-value king is Subaru. Fuji Heavy Industries Subaru brand has now won the award three years running, with Lexus regaining top spot amongst luxury brands. The report suggests that German and American manufacturers are a long way behind Japanese (11 of the 21 awards) manufacturers in this critical but often overlooked aspect of real car ownership costs. Indeed, the deeper you look into the latest ALG figures, the more Japanese brands appear to have created an unassailable lead in vehicle ownership costs. ALG’s Residual Value Awards honor the vehicles in each segment that are predicted to retain the highest percentage of their MSRP after a three‐year period. In ranking the overall Mainstream Brand Residual Values for 2012 models, Japanese brands account for five of the top six brands and only one German brand (Volkswagen) is above the industry average. Two Subaru models also won individual segment awards: the Legacy (Midsize Car) and the Outback (Midsize Utility Vehicle). All other brands were below the industry average. This year’s awards are based on 2012 model year vehicles, and winners were chosen after assessing historical retained value performance and industry trends. Many factors a car’s ability to retain its value over a three year period, with cars which are often subject to discounting and buying incentives performing poorly, a higher percentage of fleet sales tending to depress used values, and perceived quality being the key factors. When you have to drive on the white stuff, you want to feel confident in your ability to get where you’re going. All-wheel drive can give you that assurance. By powering all four wheels at the same time, all-wheel-drive systems provide better traction than two-wheel-drive ones. Plus, all-wheel drive is always on and adjusts automatically to changing road conditions — unlike four-wheel-drive systems typically found in trucks, which require you to make a selection for the conditions or type of terrain. In preparation for colder weather, we recommend ten 2012 vehicles that offer a shovelful of value — as measured by our annual rankings — as well as all-wheel drive. Our rankings reflect resale value, fuel economy, safety and more, so these vehicles are well rounded. Eight of the ten were awarded Top Safety Picks by the Insurance Institute for Highway Safety. The Impreza is one of the least expensive all-wheel-drive vehicles on the market. Redesigned for 2012 to be edgier inside and out, it gets 30% better fuel economy — and it’s an IIHS Top Safety Pick. The Impreza employs two versions of Subaru’s Symmetrical All-Wheel Drive: Manual-transmission models get “Continuous AWD” that initially splits power 50-50 between front and rear wheels, and automatics (which cost an extra $1,000) get “Active AWD,” which sends power to the wheels based on acceleration, deceleration and available traction. Both systems will transfer power to the wheels with the best grip. The All-Weather package includes heated seats and exterior mirrors, as well as a windshield wiper de-icer. Kiplinger’s named the Outback Best in Class last year, based on its fuel economy, stellar resale values and bragging rights as an IIHS Top Safety Pick. Subaru’s Symmetrical All-Wheel Drive comes in three different versions (all standard) on Outback models, depending on the transmission and engine — the 2.5i automatic uses “Active Torque Split AWD,” which distributes power to the wheels depending on acceleration, deceleration and available traction. The Outback also includes as standard equipment a windshield wiper de-icer; remote start costs $424. Cars.com’s annual popularity award is back. We have found the 10 most popular new-car models that shoppers are not only searching for on Cars.com but are contacting dealers about. These models also receive positive consumer reviews. This fervent interaction delivers a top 10 that might surprise some enthusiasts, but probably not the people who buy and sell cars. Voting for this year’s Shoppers’ Choice awards will be conducted entirely on Facebook, so go vote, share it with your network and get your favorite car the shiny trophy when it’s announced Jan. 10 on the eve of the Detroit auto show. Subaru of Indiana Automotive Inc. in Lafayette will be featured this week on the cable channel SCIENCE. Thursday’s episode of “How Do They Do It” will show viewers how a Subaru is built from beginning to end. Last month, a production crew, sent by Discovery Communications Inc. spent two days shooting video footage at SIA. the things, and make the things that form the modern world. The “How Do They Do It” episode featuring SIA can be viewed this Thursday at 10:00 PM (EST) on SCIENCE.